hd00:25Venice, Italy - July 17 2013: Tourists enjoying a gondola ride on the canals of Venice. hd00:12Set of algae steps into the lagoon in Venice. 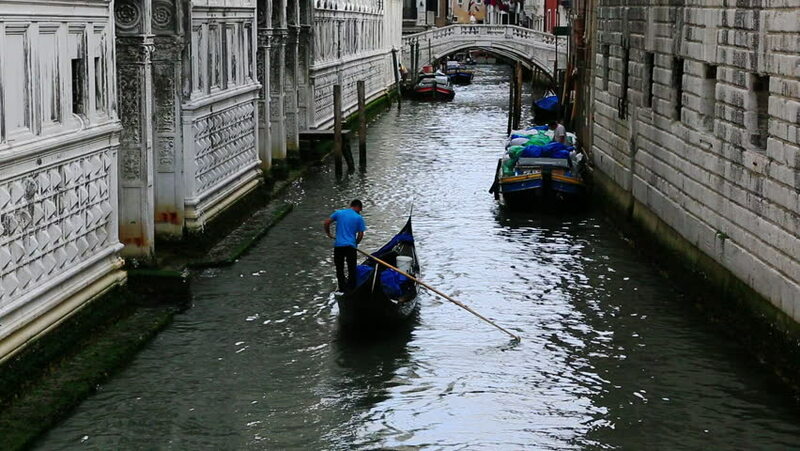 hd00:27VENICE, ITALY - CIRCA 2011: Gondolas in a narrow canal passing under a Venice bridge.